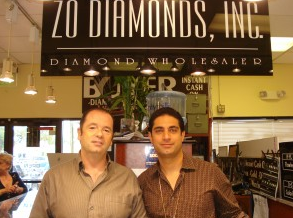 Visit Zo Diamonds for a spectacular collection of FINE CERTIFIED DIAMONDS, fabulous settings, diamond bracelets & necklaces and loose stones at UNHEARD OF PRICES! "A visit to ZO WILL PUT A SMILE ON YOUR FACE"... HERS TOO!